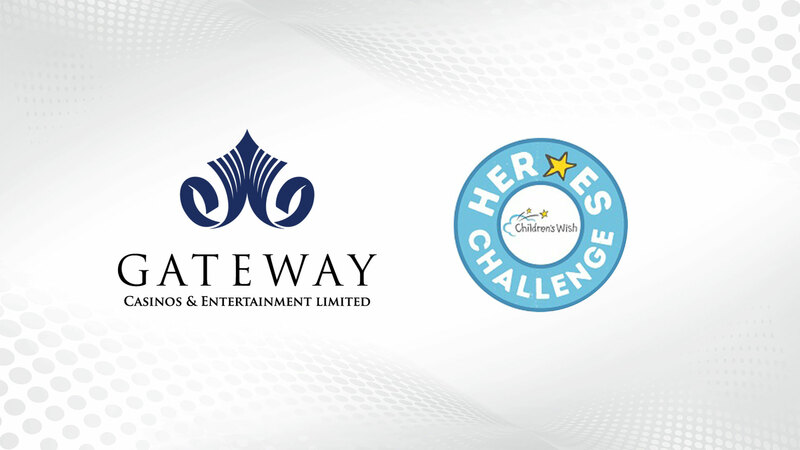 Vancouver, BC – September 4, 2018 – Gateway Casinos & Entertainment Limited (“Gateway”) is proud and excited to support Children’s Wish Foundation (Foundation) as a new, national partner and Heroes Challenge sponsor in three provinces. Gateway and its over 9,000 employees will lend their philanthropic support to the Foundation in British Columbia, Alberta, and Ontario this summer through the organization’s annual Heroes Challenge fundraiser event. Through GatewayGIVES, the company’s charitable and community engagement program, Gateway employees and management will form multiple teams to participate in the event, taking place in Vancouver, Edmonton, and Toronto on September 28, 2018. This marks the beginning of a promising relationship with the organizations. Children’s Wish Foundation is the largest and only all-Canadian wish granting charity, granting wishes to children aged 3 to 17 diagnosed with a life-threatening condition. Children’s Wish has been operating in Canada for over 30 years and has granted over 25,000 wishes across the country. “A national partnership with Children’s Wish speaks directly to what we strive to do in our communities through our GatewayGIVES program. We want to make a positive difference not just with this event but every day in the communities where we operate. I am extremely proud of all our team members who are working to grant wishes for sick children across Canada. In the spirit of granting as many wishes as possible for children diagnosed with a life-threatening illness, I have issued a friendly challenge – the Gateway team that raises the most funds will win a CEO- hosted team dinner,” says Tony Santo, CEO of Gateway Casinos. “The Children’s Wish Foundation of Canada is excited to be partnering with Gateway Casinos & Entertainment Limited. Children’s Wish recently granted its 25,000th wish – a significant milestone for a 100% Canadian charity. Forging a new and meaningful national partnership with Gateway Casinos at this time is crucial. Their strong support and engagement at a national level helps position us to grant the next 25,000 heartfelt wishes to children across Canada who have been diagnosed with a life-threatening illness,” says Chris Kotsopoulos, CEO of Children’s Wish. By participating in Heroes Challenge, teams of Gateway employees will raise funds to directly support a Wish Child paired with their team. One of these children is James, a six-year-old Kamloops boy who was born paralyzed from the waist down due to neuroblastoma on his spine. James began chemotherapy treatments at only four days old and is now living with severe physical impairments. Gateway is looking forward to granting James’ wish. Gateway is one of Canada’s leading gaming and entertainment companies, operating 27 properties across the country. The GatewayGIVES program aims to build stronger, healthier and more vibrant communities by offering not just their resources, but also their know-how, and properties to support local charities and initiatives in the communities where they operate. In 2017, Gateway donated over $1 Million to more than 1,500 local organizations and charities in Canada. Gateway Casinos & Entertainment Limited (“Gateway”) is one of the largest and most diversified gaming and entertainment companies in Canada. Across its 26 gaming properties in British Columbia, Ontario and Edmonton, Alberta, Gateway currently employs approximately 8,600 people and boasts approximately 429 table games (including 48 poker tables), 13,818 slots, 82 restaurants and bars and 561 hotel rooms. 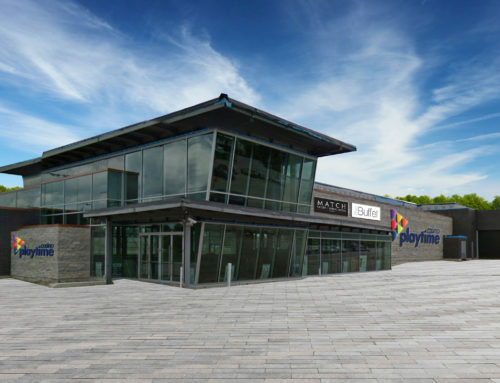 As the new service provider for the Central Gaming Bundle in Ontario, Gateway recently added two new properties and one new planned build in Wasaga Beach to its portfolio. 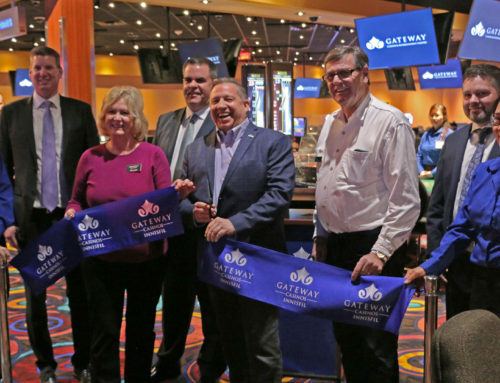 A multi-pronged growth strategy has seen Gateway diversify and expand its product offering, including developing proprietary casino and restaurant brands, dramatically improving the gaming customer experience while attracting new customers. Some of Gateway’s proprietary brands include Match Eatery & Public House, Atlas Steak + Fish and the new Halley’s Club. In 2017, Gateway celebrated 25 years in the business of gaming and entertainment in Canada. Further information is available at www.gatewaycasinos.com.